Information, instructions, and links for Ebola data crowdsourcing. 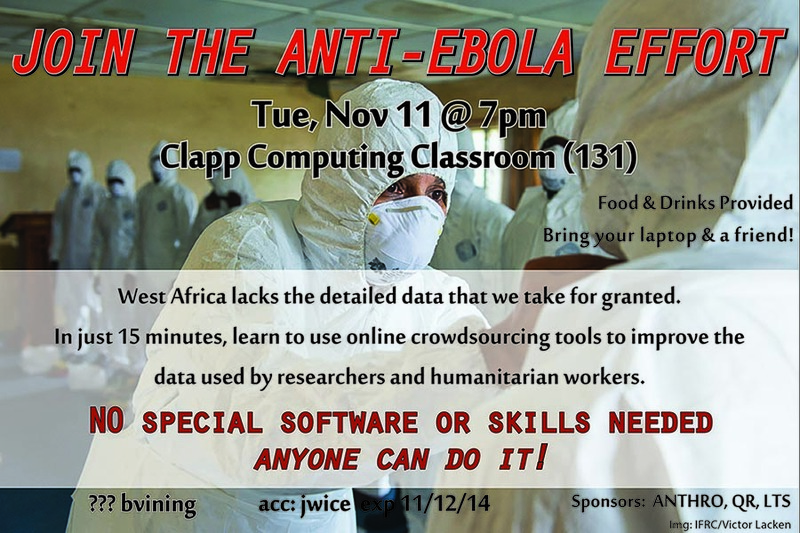 Why help create Ebola data? This data is used by researchers to understand the spread of the epidemic. It's also used by aid workers to route supplies and assistance to affected communities. Entering data in this way is a very low-cost and low-effort way to help with the fight against the Ebola virus. If you have a computer and an internet connection, you can help! Incidence Data - Many reports of Ebola cases and treatment are available only in PDF format in Guinea. This format is not useful for quantitative analysis. By digitizing the data into spreadsheets, we are providing a useful dataset that researchers can use to understand the epidemic's spread and the response effort over time. Spatial Data - Most of the areas affected by the Ebola outbreak lack the detailed maps that we take for granted. The Humanitarian OpenStreetMap Team coordinates with humanitarian organizations to create more detailed data to assist aid workers on the ground. This includes identifying schools and public facilities, mapping road networks, and identifying open areas for helicopter landings. See information on the tabs in the top-left menu on the page for how-to instructions and additional information.